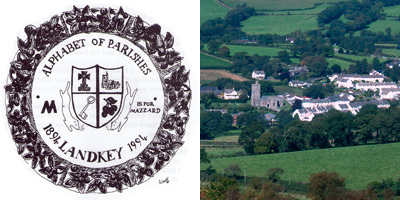 Welcome to the website for Landkey, a peaceful village located within the rolling green hills of North Devon, England. 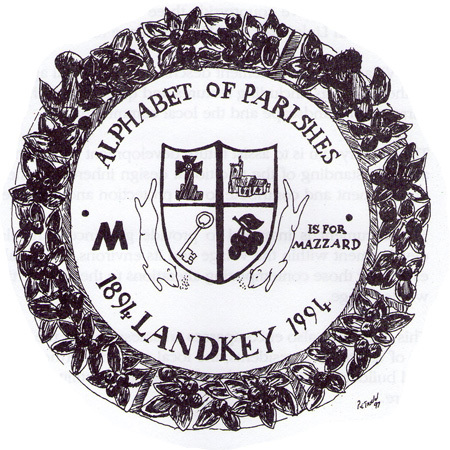 Landkey is characterised by a sense of community among its residents, especially among those who have dwelt here for many years and who have an intimate knowledge of the history and culture of the village. Landkey has welcomed many new residents in recent years as successive house-building projects have been completed and it is hoped that initiatives such as the establishment of this website will help to strengthen this sense of community by making available to all residents information about their village in a readily-accessible format. 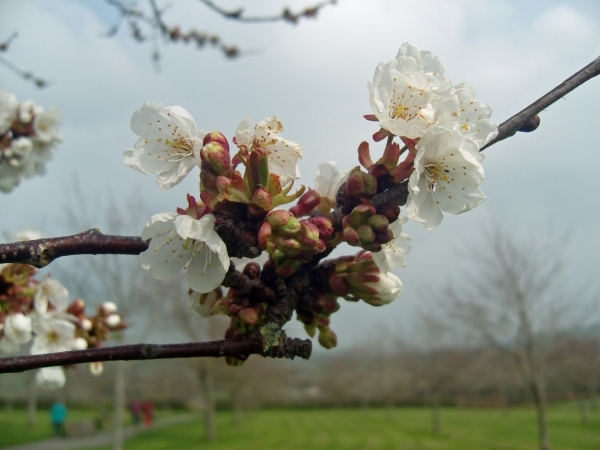 Each year, the emergence of blossom on the Millennium Green mazzard trees is awaited with interest by people who wish to visit and see this picturesque sight which is associated with the arrival of spring. 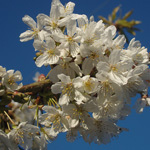 On the left of this page under "Mazzard Watch" is a note from Michael Gee advising when the best time to view the blossom will be. 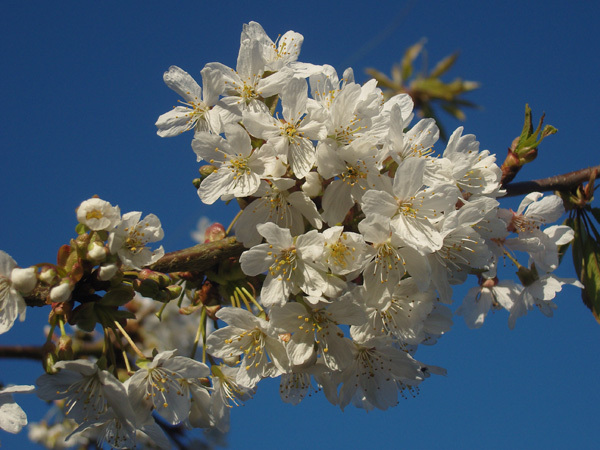 Blossom Walk. 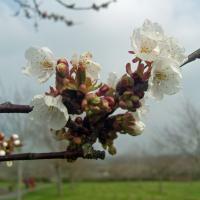 Michael will be leading a walk around the Millennium Green on Tuesday 16th April to view the blossom. All are welcome to join him and may either assemble for a pre-tour briefing in Willow's Tearoom at 3pm or gather in the car park at 3:30pm. 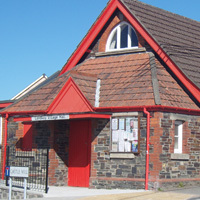 Michael is the author of the little book entitled "Mazzards, the revival of the curious North Devon Cherry" which was published in 2004. Visit our Points of View page to read what Landkey people are saying about local matters. Express your own Point of View on matters that concern the village. View images from Landkey's past at the Explore North Devon project website. 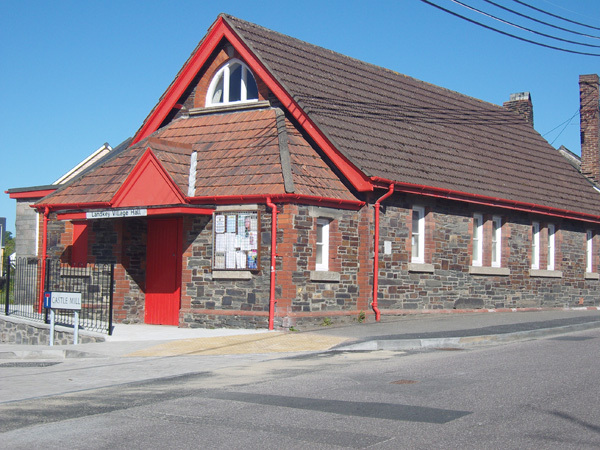 View the village hall bookings diary to help you decide when to book the hall. Discover who our parish councillors are. Read the minutes of Parish Council meetings. See what is happening in Landkey on the Events Calendar. Read or download the Landkey Newsletter. Add your own Landkey event to the events calendar. View a list of businesses to be found in Landkey. Michael Gee, 19th April 2019. All are especially welcome to join us as at St Paul's Church as we celebrate Easter this week. We will be holding a Reflections of the Cross service on Good Friday, 19th April between 2pm and 3pm. Our Easter Sunday service will follow on Sunday and we expect this to be a joyful occasion as we rejoice in the knowledge of the risen Lord. We do not have any recent Points of View to show but please feel free to follow the link below to visit our Points of View page. We welcome points of view from Landkey residents, so please let us know of any village issue which is of interest or concern to you. It could be that others share your views! 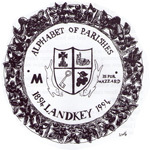 Landkey's Alphabet of Parishes plaque, 1994. Artwork @copyright Judy Barber. The Landkey Sculpture. 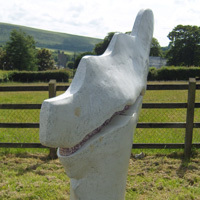 Created by local artist Polly Pocock, this distinctive artwork stands at the entrance to the northern side of village and is made up of local stone from nearby Venn Quarry and is in the shape of the Landkey parish boundary. 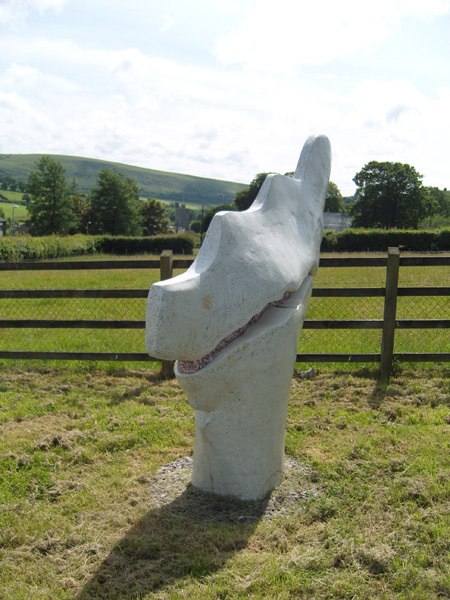 The sculpture was commissioned by Landkey Parish Council and was inspired following a consultation with local people to seek ideas on what Landkey meant to them. It was unveiled on July 25th 2009. 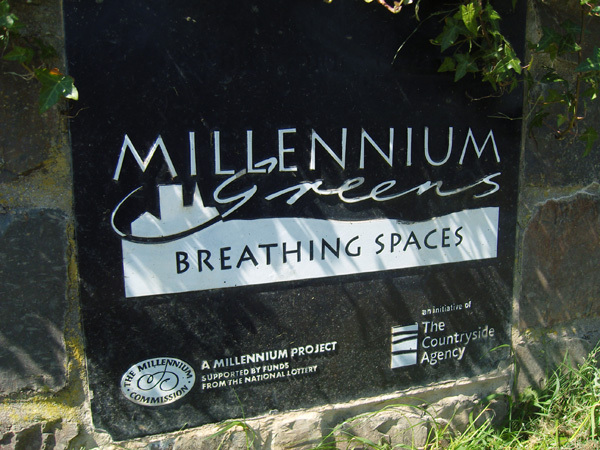 Landkey's Millennium Green, opened in June 2000, is appreciated daily by local residents who make use of this valuable amenity. 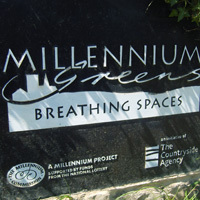 At the time, it was one of just 250 Greens created nationwide as part of the government's plans to mark the millennium.